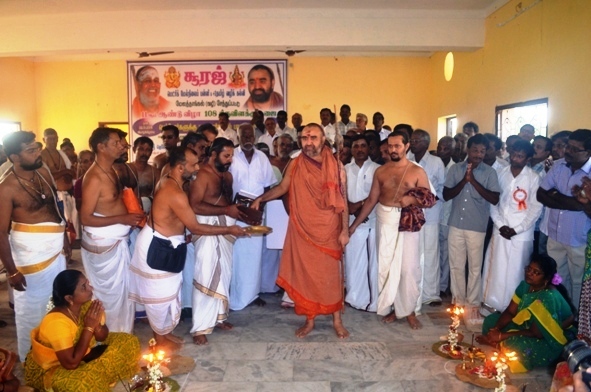 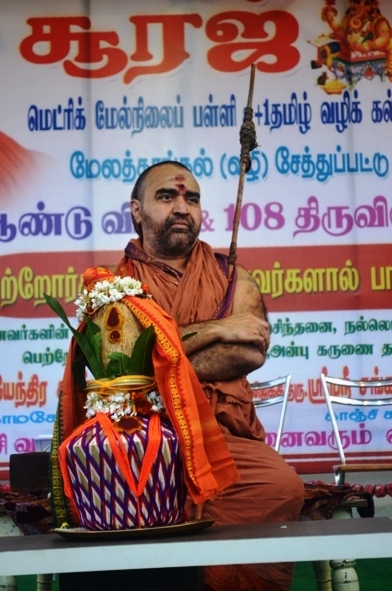 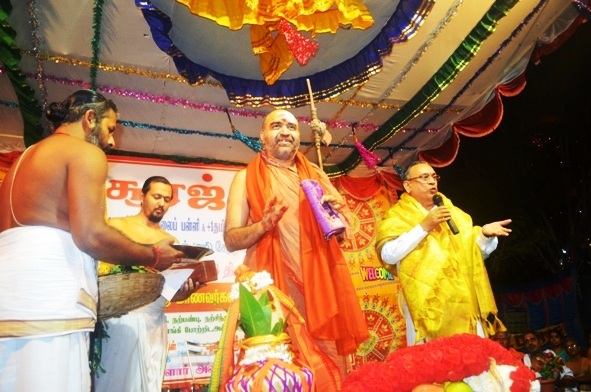 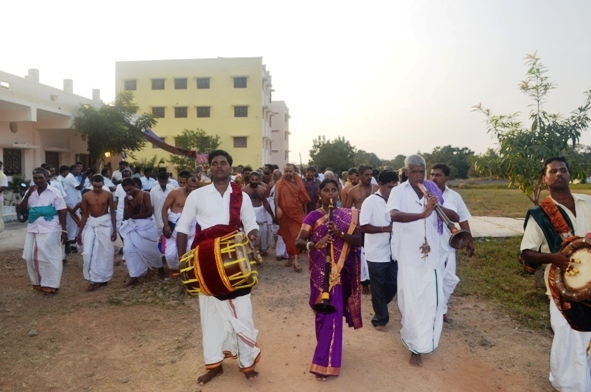 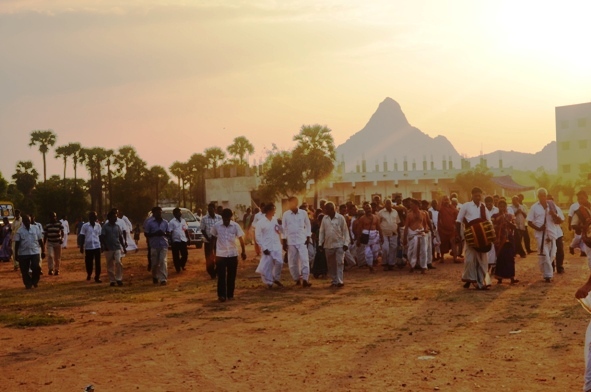 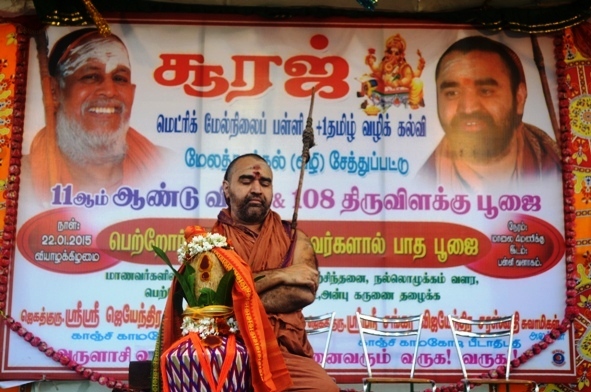 HH Pujyashri Shankara Vijayendra Saraswathi Shankaracharya Swamigal visited Suraj School in Chetpet near on the Vandavasi-Tiruvannamalai Road, at about 75 kms from Kanchipuram. 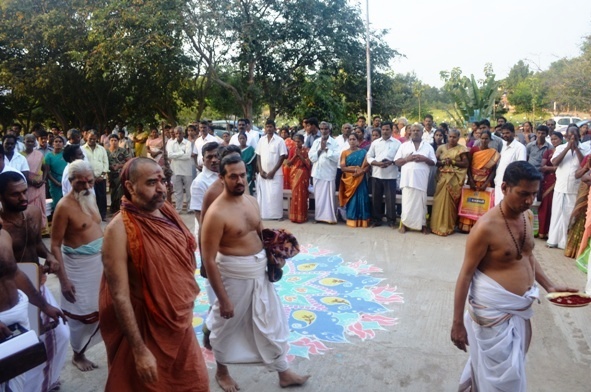 On the occasion of the 11th Annual Day celebrations, special 'Tiruvilakku Pooja'(Deepa Puja) and students performed Padapuja to their parents . 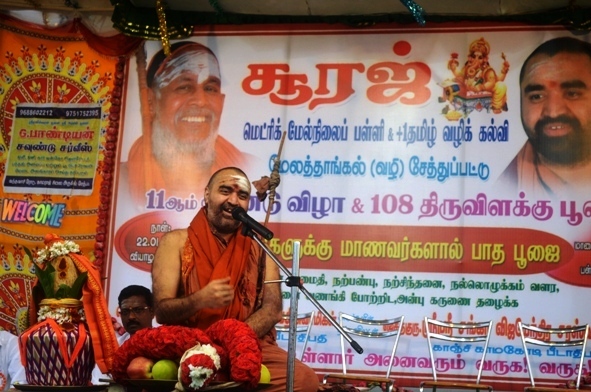 Pujas were performed at the Ganapati temple in the Temple premises. 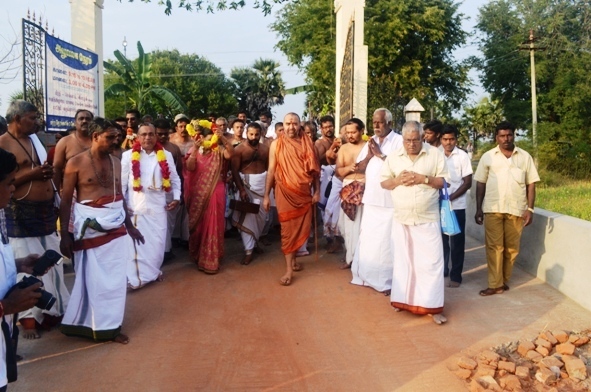 His Holiness blessed the gathering of students, parents, teachers and the general public with Anugraha Bhashanam. 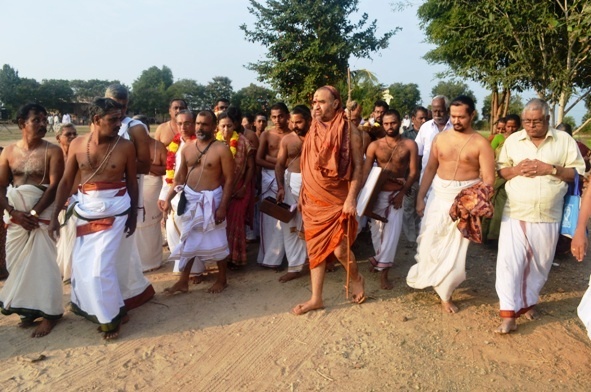 In His hour-long, Anugraha Bhashanam, His Holiness spoke about the importance of family system in India, the need to carry forward the good deeds done by our ancestors, need to preserve our Culture, importance of positive thinking. 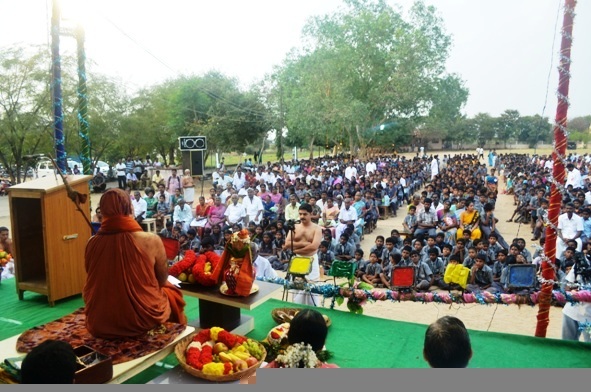 The school was commenced by Sri Suraj Jain with the benign blessings of Their Holinesses. 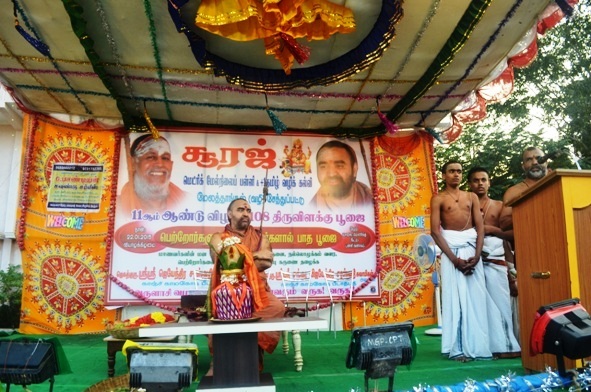 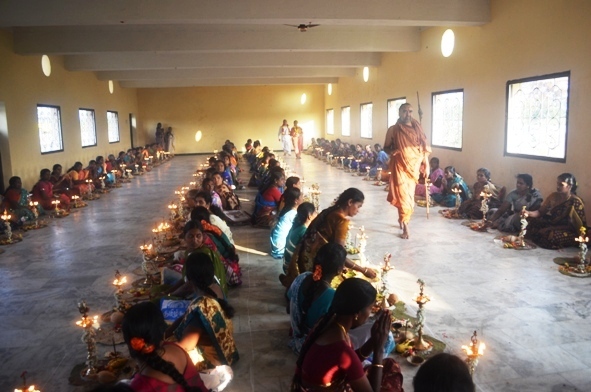 Sri Suraj mentioned about the various activities being done in the field of Education(Vidya), healthcare in the villages through eye-camps in association with Sankara Eye Hospitals(more than 30,000 surgeries have been done through this) and renovation of the ancient temple in Devikapuram.